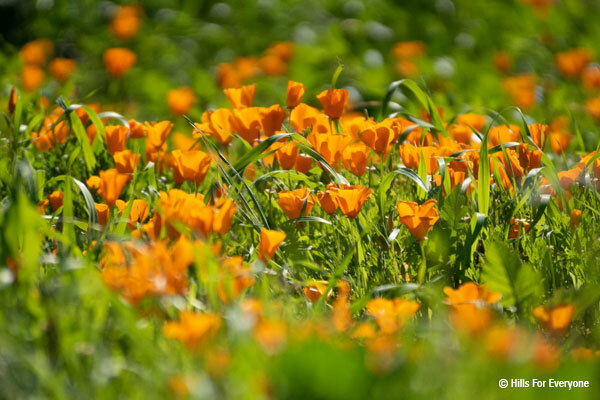 Due to the popularity of our wildflowers and a maximum capacity of the Chino Hills State Park entry road. The gates at our Chino Hills entrance on Sapphire Road do get closed when we reach capacity. At that point we let vehicle traffic in and out on a car by car basis. Please remember to stay on trails. Bare patches of dirt off trail might be a good place to take the perfect photo but using those areas still harms our plants and wildlife. Also remember that all flowers are protected and picking them is illegal within the park.